The final phase of Lulu’s Digital Rights Management (DRM) Retirement project is scheduled for release July 2, 2013. On this date, we will deactivate our Adobe DRM servers, which means you will no longer be able to download DRM protected ebooks from the Lulu My Downloads page. The Download button and Write a Review link will be removed from the My Downloads page for all DRM protected PDF and EPUB format ebooks purchased prior to March 12, 2013. You will see a message under all DRM protected ebooks on the My Downloads page stating the ebook is no longer available for download. All DRM protected ebooks previously authorized in your Adobe Digital Editions (ADE) account will continue to be available in your ADE Library and from all computers and devices authorized in your ADE account. If you have purchased DRM protected ebooks and have not yet authorized them in your ADE account, you must do so prior to July 2, 2013. If you have DRM protected ebooks that were not downloaded and authorized in ADE prior to July 2, 2013, please contact our support team for assistance. Your downloaded DRM protected ebooks are saved on your computer as ACSM files. We recommend you save your DRM protected ebook files to a CD or backup drive to ensure they will be not be lost in the event of a computer malfunction. Prior to January 15, 2013, a Lulu author may have chosen to apply Digital Rights Management (DRM) protection to their PDF or EPUB. If so, the file must be initially accessed using a registered copy of Adobe Digital Editions (ADE), a free downloadable application different from the widely used Adobe Reader. ADE allows a user to authorize up to six computers and/or mobile devices on which DRM protected ebooks can be read. Please note that Android and iOS devices require the additional use of downloadable apps such as the free Bluefire reader to access DRM protected ebooks. Go to the Adobe Digital Editions (ADE) page to download your free copy. Follow the steps to install ADE and create your Adobe account (username and password). Note: You must authorize the computer to which you download and install ADE. If you do not complete this step, you will not be able to access DRM protected PDF or EPUB ebooks on that computer. You may log back into your Adobe account at any time to authorize additional computers or mobile devices. Locate the DRM protected ebook file on your computer. It will have been saved in ASCM file format. Right click on the ACSM file and choose Open With > Adobe Digital Editions. 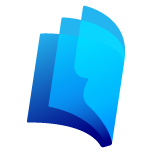 Click on the Library icon to view your collection of ebooks. Click on the down arrow and choose Add Item to Library. Browse and select your new DRM protected ebook. It will now be listed for selection in the ADE Library view. Double click on the ebook image to open the book and begin reading. Please note: Adobe Digital Editions can also be used to access and read non-DRM protected ebooks on your authorized computers and mobile devices.